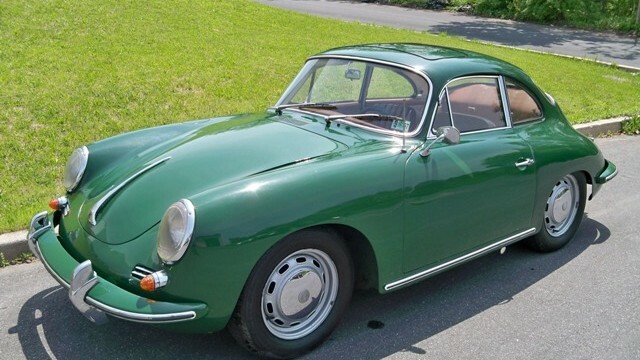 1965 356C Sunroof Coupe » Specialty Cars Service Center, Inc.
1600 Karmann Coupe, 53,000 original miles. Irish green exterior / fawn leatherette interior. Numbers matching as per the COA. Factory sunroof added in 1967. A collection of mescellaneous 356C parts acquired by the owner is included in the sale. All service work performed at Specialty Cars since April of 2004.